You can listen to 'Henrietta' here. The title "Fragrant world" suggests to tickle the olfactory senses. Yeasayer can claim a lot but not that it tickled my nose. Everything to do with ears was tickled beyond mere pleasing though. 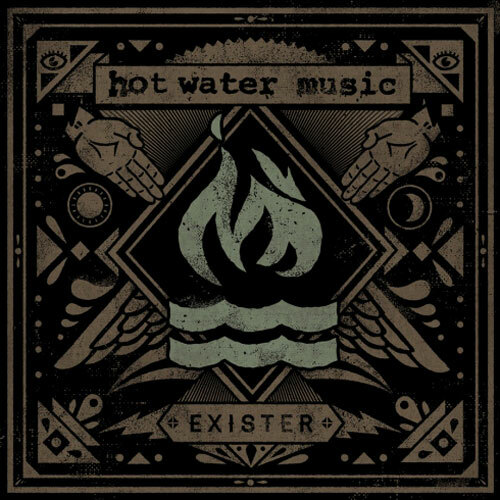 This album is so chock full of surprises that I discover a new sound, a new mini melody, a rhythm beneath the rhythm every time I listen to the album. Fragrant world is an adventure. An adventure best to undergo on a couch with a headset on. Yeasayer's first album 'All hour cymbals' (2007) more or less passed me by and later did not really impress me. 'Odd blood' (2010) I listened to a good deal more, but in the end it did not become a true favourite. My analysis is that is was to hard for me to recollect the songs easily and sing along with. Most bands of the new Brooklyn scene have that effect on me. 'Odd blood' was interesting enough though to give the band's third effort a fair chance. 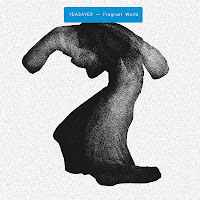 The mix of pop, dancelike rhythms and experiment may no longer be as much to the taste of people at the vanguard of avant garde as a few years back, but to my pop reared ears Yeasayer has found a balance I very much can live with. The way a song like 'Blue paper' is built up holds the best of several worlds. 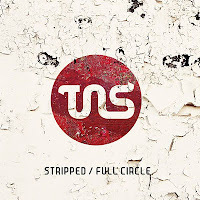 The sometimes almost Beatlesesque singing melody is set off against a less immediate ear catching mix of electronic rhythm, synth soundscapes and weird noises. The combination works like a tight fit. Low tempo dance songs dominate the album, but so do psychedelia, 80ties synths and 60ties singing. 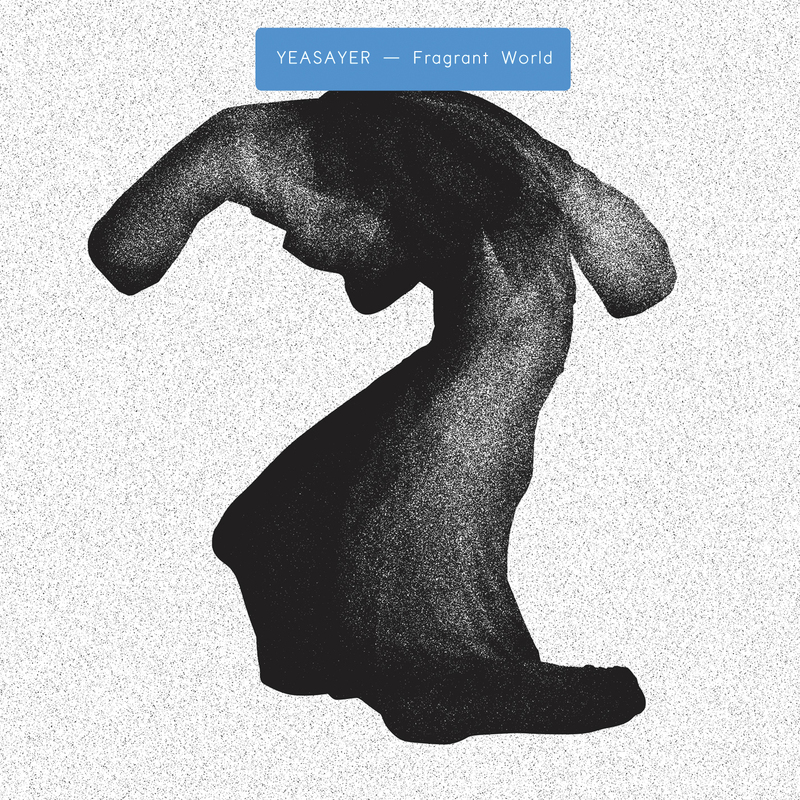 Yeasayer has sucked in all sorts of elements of the past 45 years in pop music and put it in its 2010s Brooklyn blender. The songs that roll out are nothing like easy digestible pop songs, as the band does not take the high road nor the easy road. It's more like the road through the dark forest and the moors. As listener you are never certain what's behind the next bend, tree or even the grass beneath your feet. You even run the risk of losing a boot to the sucking mud. Yeasayer presents something different in each song. The rhythm, the sounds, the singing, everything is allowed to change and develop what suits the idea or concept of the song best. In 'Devil and the deed' there's even Bee Gees like singing. Of course in a twisted, alternative way. There is a negative side to Fragrant world. The album tends to ripple towards the end slowly, not very dangerous. Perhaps too monotonous to my taste. This may explain why the album is received fairly moderately in the press. To me this is certainly the case when the influences of Howard Jones and Nik Kershaw shine through, without the Yeasayer sauce put over in an obvious way, like in 'Damaged goods'. I can't help to like the song though. Like 'Wouldn't it be good' was an exception to me in the 80ties. When I look at the bigger picture, the album falls to my good side, as within most songs enough is going on to make them interesting individually. And isn't that the way most people listen to music these days?, or so I'm told. (A strange idea for someone having been raised on albums, o.k. at first on just 45s.) 'No bones' makes up for "simplicity", but is too weird for my taste. 'Reagan's skeleton' has a great refrain, while the title is great. The line "Reagan's skeleton in the moonlight" made me prick up my ears. You can listen to 'Mother of pearl' here. De opvolger van For Your Pleasure laat ondanks het vertrek van Brian Eno niet lang op zich wachten. 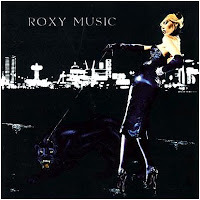 Stranded verschijnt slechts acht maanden na de release van het voorlopige meesterwerk van Roxy Music en laat, zoals verwacht, een wat toegankelijker geluid horen. Op de derde plaat van Roxy Music is Brian Eno vervangen door de jonge maar bijzonder getalenteerde Eddie Jobson, die zowel op uiteenlopende keyboards als op de viool uitstekend uit de voeten kan. Roxy Music schuift door het vertrek van Eno op in de richting van wat makkelijker in het gehoor liggende songs of zelfs wat rechttoe rechtaan rocksongs, maar desondanks moeten de verschillen met de eerste twee platen niet worden overdreven. 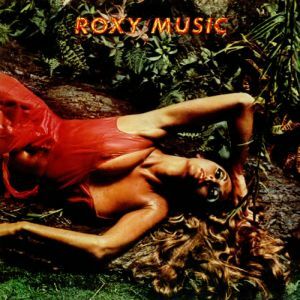 Een ieder die Roxy Music na het vertrek van Brian Eno had afgeschreven moet hier op terug komen, want ondanks de machtsgreep van Bryan Ferry klinkt de muziek van Roxy Music nog altijd bijzonder intrigerend en is deze nog altijd van een bijzonder hoog niveau. Sfeervolle tracks als het prachtige Song For Europe maken de meeste indruk, maar ook wat meer rechttoe rechtaan songs als de single Street Life blijven dankzij het fraaie gitaarwerk van Phil Manzanera, de gloedvolle vocalen van Bryan Ferry en de sfeervolle accenten van Eddie Jobson en Andy Mackay moeiteloos overeind. Stranded is alles bij elkaar genomen net iets minder sterk dan zijn voorganger, maar nog altijd bovengemiddeld goed. You can listen to 'Madness' here. Muse was my last discovery of the 20th century, if we assume the 21st started on 1-1-2000. On a late Thursday evening or early Friday morning after band practice, watching an MTV show called 'Alter8' that played the video of 'Muscle museum'. On Friday I bought 'Showbiz' and played it an awful lot. The bombastic sound only grew and grew with each album, with 'Knights of Cydonia' as epitome to Muse's fury. Until 'Resistance' gave rise to the thought that Muse perhaps didn't know which way to go next. There was something missing, so I thought. With the release of The 2nd law coming up (I'm having a great pre-listen here at NRC. Till Thursday 27-9-12) my question was will Muse deliver again or fade as a band? My first impression is that the band managed to reinvent itself. 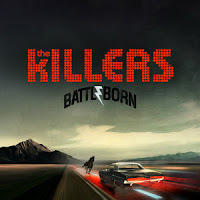 There is a good balance between the histrionics and the rest of the album. A song like 'Animals' has this under the skin kind of tension in it. Will it explode or not? 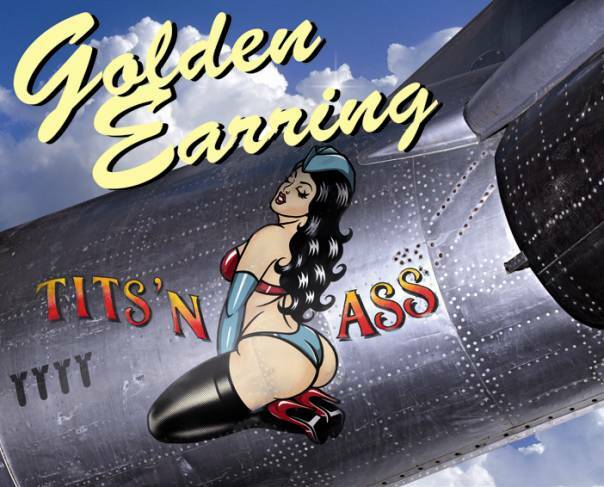 As well as great rhythm and distorted guitar playing in a bluesy and jazzy style. In general the album gives the impression that Muse focussed more on the song than on the effect(s). 'Explorer' shows just how good a song Matthew Bellamy is able to write (and sing) and the band to perform. It's sheer beauty. But you also find an intro to which Doris Day could start singing. With Muse Queen is never very far off. If there's one band allowed to wear the vacant crown, it's Muse. There is even a queen-like disco outing sang by bass player Chris Wolstenholme. 'Panic station' is a well dressed 'Another one bites the dust'. While in 'Big freeze' the choruses also come very close to Queen's 'A night at the opera'. Single 'Madness' is a strange mix of George Michael's 'Faith' and Queen's 'I want to break free'. Deep down 'Madness' is nothing but a blues in a 21st century's slightly tainted jacket. It doesn't hinder me for one second, as each is a good song in its own right. This new, slightly groovy direction suits Muse very well and adds a new sound to their palet. The spacy solo in 'Animals' and 'Save me' makes me think of Pink Floyd instantly, but also off one of the songs on MONSTERCAT's first EP (2011) (read a review of this fabulous album here), but I suppose that's totally coincidental. This element shows that Muse dared to stick out it's neck and explore other influences and incorporate them into their sound. This makes the band a lot less predictable and more interesting. 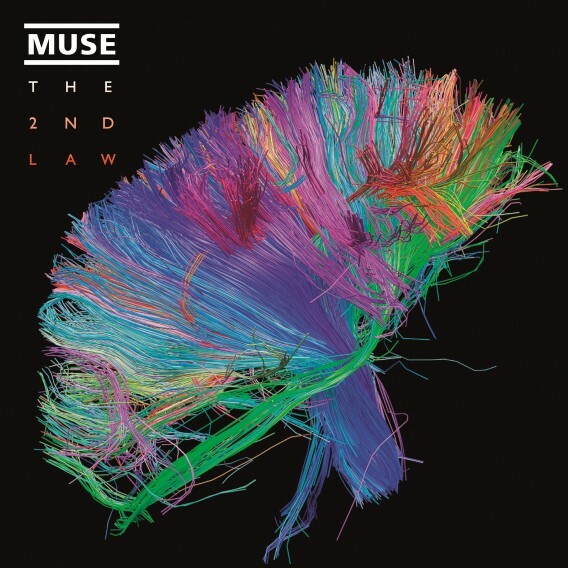 As Muse coupled this to great melodies, it looks like The 2nd law becomes a winner. In interviews Matthew Bellamy explains the 2nd law, so I won't repeat it here. There's some vocoder treated science explanations in 'Unsustainable'. Perhaps here the musical experiment is taken a bit to far, but then the message is that we people at present take the modern life too far, which is unsustainable. Dance like beats and electronic treatment of sounds are prominent in the harder songs of the album. This gives them a distinct harsh edge and very modern sound. All in all. Muse delivered on The 2nd law. The antics have been put aside, to some extend, while some great song are added to its repertoire. The over the top singing and playing have been replaced in most songs by subtle strings, melodies, a choir almost 'Atom heart mother' style and guitar or keyboards playing. A song like 'Isolated system' borders on the classical and trance at the same time and still works. Time will tell whether The 2nd law will stick, but my first impression is Muse scores big here. What a treat! Je kunt hier luisteren naar 'Down in the woods'. Ook deze zaterdag besteed ik weer aandacht aan een obscure parel uit de Amerikaanse rootsmuziek. Dat Malcolm Holcombe nog steeds tot deze obscure parels wordt gerekend is overigens een schande, want de singer-songwriter uit Weaverville, North Caroline, timmert inmiddels al een jaar of achttien aan de weg en leverde in deze periode een aantal bijzonder fraaie platen af. Malcolm Holcombe is een laatbloeier. Hij was bijna 40 toen zijn debuut verscheen en nadert inmiddels de 60. Hij klinkt overigens nog een stuk ouder, want zijn rauwe en doorleefde strot lijkt behoorlijk aangetast door een zwaar leven en/of de nodige genotsmiddelen. De afgelopen jaren schaarde Holcombe onder andere Lucinda Williams en Shelby Lynne onder zijn fans, wat hem met name in de Amerikaanse pers de nodige aandacht opleverde. 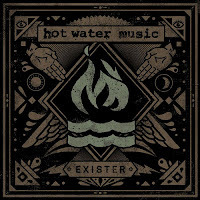 Voor zijn nieuwe plaat Down The River wist Malcolm Holcombe nog veel meer grote namen te strikken, want naast snarenwonder Darrell Scott (aan wiens nieuwe plaat ik binnenkort aandacht ga besteden) geven onder andere Kim Richey, Emmylou Harris en Steve Earle act de présence. De grote namen dragen absoluut bij aan de kwaliteit van de plaat, maar het is Malcolm Holcombe die het plekje in de spotlights opeist. Down The River bevat voornamelijk sobere songs met invloeden uit de country en de folk. Deze songs worden prachtig ingekleurd door de topmuzikanten die Malcolm Holcombe op deze plaat omringen. Met name het snarenwerk is prachtig, maar ook de zo nu en dan behoorlijk opzwepende viool mag niet onvermeld blijven. Het meest in het oor springend zijn echter de vocalen van Malcolm Holcombe. Holcombe klinkt als een mix van Bob Dylan, Michael de Jong en Tom Waits en zingt met zoveel gevoel dat de toch al indringende songs op Down The River een enorme impact hebben. De doorleefde stem van Holcombe krijgt alleen maar meer glans door de dienende achtergrondvocalen van de gasten van naam en faam, wat een aantal diep ontroerende momenten oplevert. Malcolm Holcombe maakt op Down The River muziek die in dit genre wel vaker wordt gemaakt, maar doet alles beter dan de concurrentie. Zijn verhalen zijn mooier, zijn muzikanten getalenteerder en zijn stem indrukwekkender. 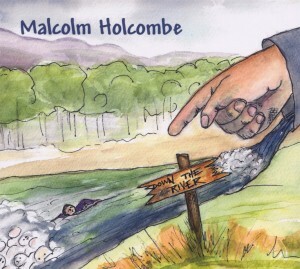 Down The River is een plaat die je onmiddellijk genadeloos bij de strot grijpt, maar de doorbraakplaat van Malcolm Holcombe (want dat kan toch bijna niet anders) wordt hierna alleen maar mooier, indringender en overtuigender. De New York Times voorspelde Malcolm Holcombe een jaar of vijftien geleden naar aanleiding van zijn officiële debuut A Hundred Lies al een prachtige toekomst tussen de grote Amerikaanse singer-songwriters. Het heeft even geduurd, maar met het wonderschone en imponerende Down The River komt de voorspelling alsnog uit. Er valt niets, maar dan ook helemaal niets op af te dingen. P.s. Malcolm Holcombe treedt komende maand op in Nederland. Dat is een belevenis om te zien. O.a. in de Q-Bus te Leiden op 23 Oktober. Zie voor verdere data hier. Voor die tijd zal ik mijn recensie op het blog zetten van een paar jaar terug. Wo. My compliments for Supernova. How happy is the band with the new album? We are pretty thrilled with the album. It came together quickly because we had a lot of material to work with and we demoed a bunch of songs to see which ones felt the best. 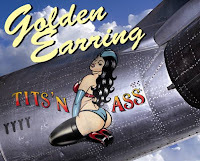 It was a satisfying experience and producing and arranging the songs were a lot of fun. Having added JJ Jones as drummer to the line up, did this add to the possibilities that are offered to a song and what was the reason behind changing the line up at this stage in your career? JJ joined in 2009, and at that point, we had been a trio for about 7 years. We longed for a bigger sound. She had been a Girlyman fan since 2003 and had been in touch with us here and there, dropping hints that if we ever wanted to add drums to the mix, she'd be more than willing. We enjoyed having drums on our recordings, but I don't think we seriously considered having a new band member, let alone a drummer for our live shows. But when she played with us, it felt like a magical addition, and suddenly our songs expanded into something even more. We immediately asked her to join after that. As I understand Ty and you sang together before Girlyman. When and how did you meet Nate and what made you decide this is it to start a band? Ty and I met when we were in second grade, and started singing together when we were 11. Harmony was always our thing, and we diligently practiced singing Simon and Garfunkel tunes together and practiced their different parts. We went to college (university) in NY, where we met Nate and fast became good friends. Ty and I became a duo called the Garden Verge after we graduated, and Nate was a solo singer-songwriter, but we would play shows together and always end up singing on each other's songs. Soon, singing three-part harmony became more fun than the duo and solo stuff we were doing, and we decided to join forces, scheduling our first formal rehearsal on September 11, 2001. The rehearsal was canceled due to the events of that tragic day, but in our grief and shock, we felt even more compelled to make music together because it was the only thing that brought any sense of love and healing to us and the people around us. Thus, Girlyman was born. On the album there are other musicians added sporadically. What makes you decide a song needs something extra? Sometimes you taste a recipe you're making and you know it needs something extra. Some extra spice, a little more salt, a teaspoon of sugar. Finding other musicians to play on your songs is kind of like that. You know the song needs something and you just try to find the right voice or instrument to match what you're hearing in your head. You also switch instruments regularly. When is it decided which instrument fits a song and who best? When we arrange a song that someone has brought in, we start off with the instruments we think will sound good. Most of the time our instincts are correct, but sometimes it won't sound as full or complete as we had thought. So we mess around and try other instruments until we get the right mix. The beauty of a studio recording though, is that we can track multiple instruments even though in a live situation, we'll have to choose one over another because we don't have enough hands to play. Ingrid Elizabeth toured with you, her band Coyote Grace is on Supernova. How close is your relationship to Coyote Grace? We are very close with that band. They toured with us extensively in 2010 and 11, and our chemistry is unmatched. It's almost like we become a power band together, because our energy expands and doubles. They are a lot of fun and write beautiful songs and have a ton of energy together. We feel really blessed when we meet other musicians who compliment our music so well. I describe your music as close harmony pop, others write folk(pop). What are your influences on the music you make and who on the singing part? Well like I said, Simon and Garfunkel was my earliest influence, as well as the Mamas and the Papas, Indigo Girls, Bee Gees, Patty Griffin, Allman Brothers, John Williams (the classical guitarist), the Beatles. I studied classical guitar and voice and piano when I was in high school and college, and even though you may not hear a lot of that in my playing and singing, the musicality and dynamics that I learned from studying those subjects are. Your Wikipedia page says that you are a favourite in the gay community. My best guess is that you attract people that are “different” from the average. Do you feel that this comes with a responsibility also? I feel like we appeal mostly to people who like well thought out lyrics and music and who especially enjoy close-knit harmonies. A lot of our fans feel like they know us through our music, and we have thus created kind of a family of fans. We've had lots of skeptics who come to our shows put-off by our name, Girlyman, and then become the most die-hard supporters because something about our music has touched them so deeply. Children also seem to love our sound (and they love the tuning songs Nate makes up) as well as teenagers, adults, and older folks. Are you concerned that being outspoken in your presentation, which I assume to be a conscious decision, could hamper your career? I think we've always tried to be ourselves because that's all we know how to be. 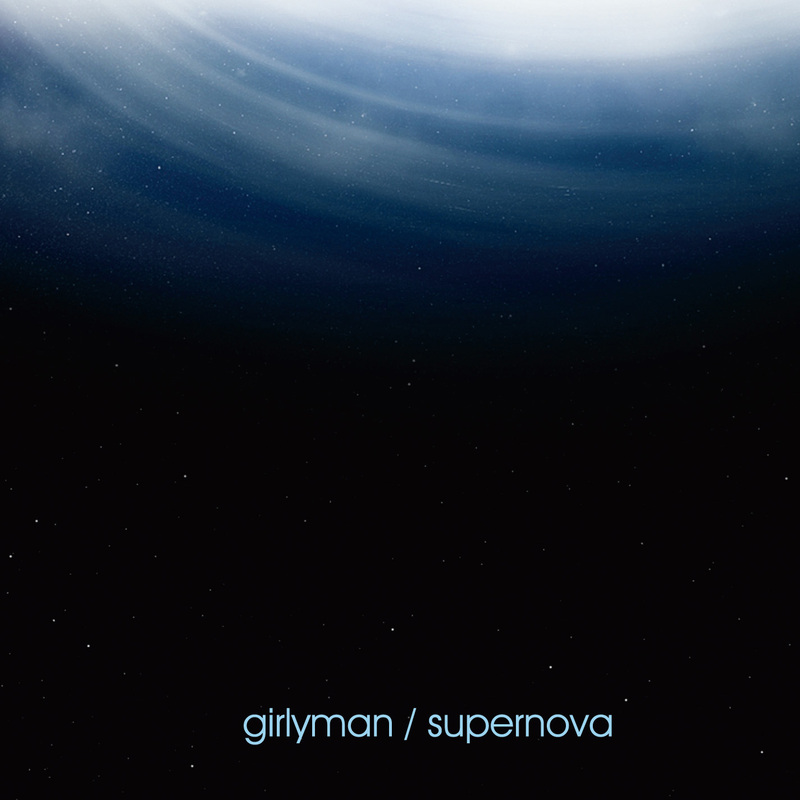 Having a name like Girlyman probably doesn't benefit us all the time, because people have preconceived notions about who we are and what kind of music we'll play, but there's nothing like seeing a total convert after a show. I think that is a beautiful thing, to help someone see something in themselves that they may not have wanted to recognize or acknowledge before, whether that has to do with gender or overcoming a stereo type, or just discovering that they have something in common with our songs and personal stories and that we're not so different after all. Do you ever get negative reactions to your presentation? We get a lot of "you might think about changing your name!" 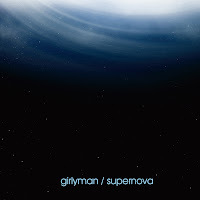 I think some venues and festivals might not want to take risks with a band called Girlyman, too, but we can't know that for sure. Hopefully the music should just speak for itself. The latest tour turned out to be a financial disaster for the band. How do you deal with this? Does it upset your motivation or has it made you more determined to succeed? I think after 10 years of doing this, it was a pretty big blow to work as hard as we did for so little financial payback. Not that that's why we do it, but this was the first time we felt like we were in over our heads. I think, if anything, it alerted us to the fact that we haven't ever taken a significant break from touring the way we do, even when I was diagnosed with leukemia, and that it might be time to consider doing that. 10 years is a long time to be touring and making music together, and though we love each other very much, I think we've outgrown the Girlyman shoes, so to speak. So if anything, this tour made us pay attention to what the Universe was trying to tell us. You mention St. Augustine in the same titled song. What makes the debaucher gone ascetic church father relevant to the character in the song? The song is a plea to one of the patron saints of vision, Saint Augustine, to help me out of a debilitating depression. I was diagnosed with CML, a type of leukemia, which was a vastly life-changing event. Luckily, the cancer itself was treatable with drugs, but the depression that settled in afterwards was an extended winter. Imagine seeing bare trees, gray skies, and frozen lakes out your window and believing that's how it would always look, for eternity. That's how my life felt before I'd wake up and before I'd go to bed, I'd hear a voice whisper "Saint Augustine." So I wrote a song about St. Augustine, Florida. The music felt complete, but the lyrics felt detached and incidental. I continued to hear the voice, and would even see street names like St. Augustine Place, when I'd drive around Atlanta, and finally realized that the song was asking me to listen more deeply. When I found out he was the patron saint of vision, I kind of knew that that's what I needed to write about. Ty and Nate do the same with Michelangelo. You sing “How could you know, you are Michelangelo”. What is the idea about this phrase? The phrase is "your mom and your dad/never knew what they had/so how could you know/you were Michelangelo?" and I believe it addresses the hesitancy and insecurity *all* artists feel when they're vulnerable and creating their art. In several songs I notice a longing for acceptance in different situations. In how far is this topic important to you? Well, I think it's part of the human condition to want to be accepted! And loved for who they are. So I think it's a topic that is quite relevant to us. I almost do not dare to ask, but what can we in The Netherlands expect from Girlyman in the future? Oh, Wout. We'd love to come back to the Netherlands at some point. The people there are so kind and friendly and we were amazed at how well everyone speaks English. That was so impressive. So let's keep our fingers crossed!